Check here to see what we are currently roasting as well as what's on deck. 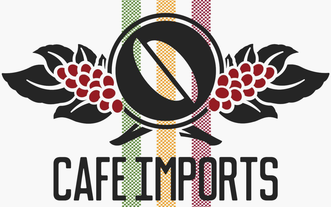 External links are provided to our wholesaler Cafe Imports--experts in their field. As we transition between coffees, you may not know what to expect. If a coffee is listed as "On Deck", you may receive that for your next delivery instead of what we are "Currently Roasting". In the minds of many Colombia is synonymous with coffee. Colombian coffee is routinely smooth and well-balanced, but there are still many factors that can affect the flavor profile of a bean. Controlling origin is only one factor albeit a major one. Therefore, even on the Colombian plan you will enjoy some variety in your coffee. Click on the image to get more details. For many people, variety is the spice of life. The reason I began roasting was to take control of the process and be able to experience a greater variety of coffees and roasts. Now you can share in my adventures as we experiment with coffees from all over the world. For customers who love a guarantee. Fair Trade certification guarantees that fair prices are paid to producers. Organic certification guarantees that the coffee was produced free of synthetic additives. These guarantees are what separate this plan from Roaster's Choice. Both plans offer a variety of roasts and origins, but the FTO plans helps some of us sleep better at night. Sometimes we need sleep more than coffee. Whatever your reason, we don't want caffeine to stand in the way of a delicious cup of coffee. Our decaf coffees are processed naturally with water and not with chemicals.